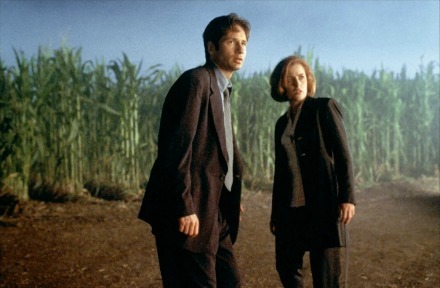 The X-Files movie was released in 1998 after 5 seasons of the TV series on Fox. The X-Files began airing on Fox in 1993, it would span 9 seasons and 202 episodes, as well as two full-length feature films. The series featured both episodic storytelling, with “Monster-of-the-Week”-style episodes, and larger serialized elements focused on the show’s overarching mythology. Inspired by shows like Alfred Hitchcock Presents, The Twilight Zone, and Tales from the Darkside, The X-Files trafficked in tales of the paranormal and the existence of aliens, as well as public mistrust of governments and large institutions. Though the show began as a cult favorite, over the course of its run it became a popular culture institution, paving the way for two feature film productions. The first season of the series premiered to 12 million viewers and ratings increased as the first season progressed. Great numbers today but small enough to be considered a small hit in 1993. The second season premiered to 16.10 million viewers, the increasing ratings were a trend the show would see continue for the next three seasons, with season 5 premiering to its highest ratings of 27.34 million viewers. With a ratings juggernaut behind him, series creator Chris Carter wanted to tell the series’ story on a wider scale, leading to the series’ first feature film produced by series owner, Twentieth Century Fox. With the series still continuing on-air, the challenge was to create a story that would be both separate and distinct from the series, for audiences unfamiliar with the show, and to also create a film that spoke to the series’ fans. The X-Files film, also known as The X-Files: Fight the Future was situated chronologically as a continuation of the season 5 finale, with the season 6 premiere picking up where the film left of. It was released in the summer of 1998. The film’s success was middling, earning a worldwide box office take of $189 million. Still, the success of the TV series afforded its creator another feature film opportunity. The X-Files: I Want to Believe became the second movie based on the series, released in July 2008. Since the series had ended and the first film faced box office challenges, the second film was determined to have a standalone story. Creator Chris Carter promised that if the movie was successful another film would follow, featuring more of the series’ original mythology. The film opened 4th in the box office with only $10.2 million and went on to a total worldwide gross of only $68 million. Critically and commercially the film was pretty much a bust. While all the key players have expressed interest in reteaming for a third film, the studio has yet to move forward. For fans of the series, well, we all want to believe that a third film is coming. However, we might have to remain satisfied with 202 episodes of original television and two feature-length films, which spawned a mythological world that is near unparalleled in pop culture history. Serenity came three years after the cancellation of the short-lived Firefly. Joss Whedon’s epic space sci-fi western premiered on Fox in the fall of 2002. The show averaged just under 5 million viewers for its short run of episodes and it was cancelled after eleven of the fourteen produced episodes had aired. Despite the short run, the series received strong home video sales and has become a cult hit in its afterlife. Often appearing on many “Cancelled Too Soon” lists, the series short run spawned a huge fan following, even fan groups that have dubbed themselves the “Browncoats,” a reference to the show’s mythology. The series was about a renegade crew of Serenity, a “Firefly-class spaceship,” and their adventures on the outskirts of society, part of the pioneer culture existing on the fringes of their star system. In this future, only two superpowers have survived, China and the United States, resulting in a fused central government, called the “Alliance,” and a fused culture. Like many Joss Whedon shows, the mythology ran deep and the character drama ran even deeper. Part of the reason the show became so popular after its original airing was the quality of the story over 14 episodes and the proliferation of TV series on DVD which was gaining traction in the early 2000s. 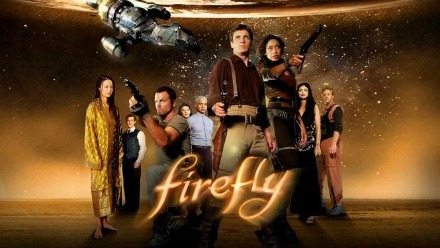 Firefly generated a loyal fan base during its initial run. The show had also come along just as the internet was giving rise to a new level of television fandom, beyond the experience of watching a new episode with friends, viewers could now go online and meet on message boards and fan sites. The Fox-sponsored message board for the show is still active today. Since the series’ run, the Browncoats have become as active as any fan-base in popular culture but during the show’s run they actively campaigned to save the series, including raising money for an ad in Variety and organizing a massive postcard writing campaign to UPN, imploring the network to pickup the Fox show. Unfortunately, Firefly remained cancelled. In the show’s afterlife fans organized viewing parties and kept the fan community active, despite only having 14 produced episodes to rally around. These and other fan activities, coupled with DVD sales, persuaded Universal Studios to venture a feature film adaptation, Serenity. Serenity was released on September 30th, 2005. Though critically well-received, the film grossed only $10 million in its opening weekend and under $40 million in total, including international grosses. Its theatrical release was a failure. Not through any fault of Universal though, which gave the film a lot of support. Hoping to generate word-of-mouth buzz, Universal launched a campaign to sneak preview the unfinished film in 35 US cities which had earned the highest Nielsen ratings during the show’s initial run. All of the screenings sold out in less than 24 hours. Universal also made the first nine minutes of the film available online in the run-up to the film’s release. Despite the failure of Serenity to make an impact at the box office, fans still keep the series alive, organizing purchasing days (days when fans would purchase their copies of the series and film, and implore new viewers to purchase copies as well), and always asking Universal to produce a sequel. Even with a decent life on home video for Serenity, a sequel has never come, understandable given the first film’s dismal theatrical release. Still, Browncoats persist to this day, as star Nathan Fillion will tell, he often receives nods from strangers on the street who call him “Captain,” in reference to his role on the show. Wayne’s World became SNL’s highest grossing spin-off, spawning two sequels. Not quite a TV show, the recurring Saturday Night Live sketch, Wayne’s World evolved from a segment on the CBC (Canadian Broadcast Corporation) Television series, It’s Only Rock & Roll, featuring Mike Myers. The sketch, which went on to become a staple of the 1988/89 season of SNL, and went on to spawn two feature films, as well as several catchphrases which have entered the pop-culture lexicon. After fourteen individual sketches on Saturday Night Live, the Wayne’s World movie was released on February 14th, 1992. The film debuted at #1 grossing just over $18 million, it would go on to gross $121.7 million domestically, with another $61.4 million internationally. The film was a huge success, “Schwing!” Other phrases such as “Schyea,” “That’s what she said,” and “Party on!” would become immortalized in pop culture. 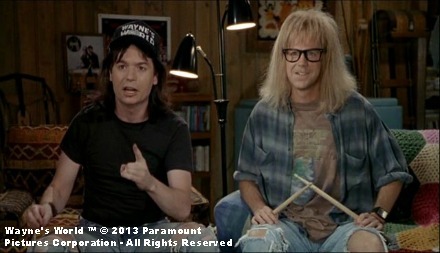 In fact, the first Wayne’s World stands as the only SNL spin-off movie to have grossed over $100 million. The popularity and success of the movie resulted in a sequel, Wayne’s World 2, released a mere year and a half later, it would go on to gross just under $50 million domestically. In home video, the Wayne’s World movies live on as cult classics. Paramount’s original TV series ran 171 episodes followed by five films. Mission Impossible aired on the CBS network from the fall of 1966 to spring of 1973, and then returned to television for two seasons on ABC from 1988 to 1990, airing a total of 171 episodes. 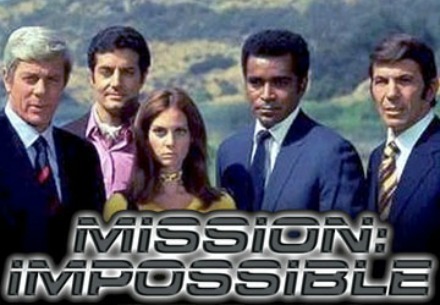 Produced by Paramount Television, the show chronicled the missions of a team of secret government agents known as the Impossible Missions Force (IMF). While a feature-film adaptation of the series was first proposed in 1978, and many times again in the 80s, no film ever went into production. Paramount, which owned the series rights finally had an opportunity when Tom Cruise came aboard the project. Cruise, having been a fan of the show since he was young boy got behind the project and chose it as the first production of his newly minted company, Cruise/Wagner Productions. Paramount put up a $70 million budget, though they preferred something closer to $40-50, Cruise pushed for a “big, showy action piece,” that cost a lot more. Cruise and his producing partner, Paula Wagner, worked on the story with filmmaker Sydney Pollack for several months before hiring director, Brian De Palma. With Tom Cruise attached the film spin-off finally came together in 1996. 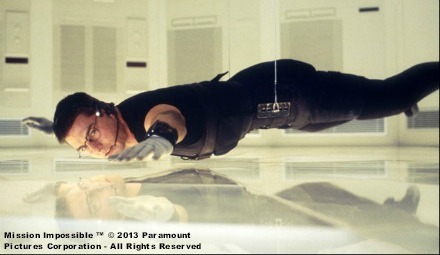 Most of the television series’ original cast reacted negatively to the first feature film spin-off of Mission Impossible, especially since the film turned the TV series’ original star’s character into a traitor. Despite their misgivings, the film opened on a Wednesday in May 1996 and set an opening day record of $11.8 million. It opened on 3,012 screens, the largest ever up to that point, and grossed $75 million in its first six days, surpassing previous record holder Jurassic Park. The film went on to make $180.9 million domestically, with a worldwide total of $457.6 million. Since the first spin-off’s release in 1996 three additional Mission Impossible sequels have been made, all with Tom Cruise as the lead. The second film out-grossed the first, and while the third was the lowest grossing of the four films, the fourth went on to out-gross all the preceding entries. A fifth film is currently in development for a tentative release on December 25th, 2015. With new ownership from Disney, this franchise is alive and well again. Though Jim Henson’s Muppets first gained notoriety through Sesame Street, their popularity quickly spawned their own TV series, The Muppet Show. A comedy-variety showcase, The Muppet Show (1976-1981) was originally produced for British television, lasting 120 episodes over 5 seasons. The show would run in the U.S. through syndication on channels like TNT and Nickelodeon. Beloved Kermit the Frog functioned as Emcee and showrunner, keeping in check the antics of the ragtag group of Muppets. Each episode would feature a prominent guest star, including such talents as Dom DeLuise, Julie Andrews, Elton John, Diana Ross, Richard Pryor, Mel Brooks and many, many more. 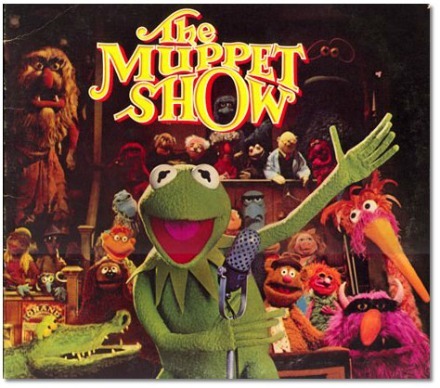 Towards the end of The Muppet Show’s run, the first Muppet movie was released in 1979. The Muppet Movie engaged in the same absurdist, surrealist humor that the TV show was known for, and set the tone for future Muppet movies with the prolific use of celebrity cameos. Reportedly, their first film featured an unhappy set with an unhappy director, Jim Frawley. It was the first and only Muppet movie to use someone outside of Henson production offices to direct; later films would use either Jim Henson or Frank Oz, exclusively. The Muppet Movie opened June 22, 1979 and became the seventh highest grossing film of that year with $76.6 million dollars, or adjusted for inflation $242.5 million in 2012 dollars. It was also the highest grossing Muppet film up until the 2011 reintroduction of the franchise by new corporate parent, Disney. In total, 7 Muppet feature films have been produced, with another on the way in 2014, Muppets Most Wanted. As far as franchises spawned by television series, The Muppets stands as one of the strongest and most prolific. Catch The X-Files, now showing on HDNET MOVIES. The Muppets Take Manhattan, now showing on HDNET MOVIES. The Muppets Treasure Island, now showing on HDNET MOVIES.